We work for organisations from all walks of life: from international corporations, NGOs and government institutes to SMEs, schools and communities next door. We feel privileged to serve them all. Here you find an overview of clients we have worked with under the name of Perspectivity as well as in former professional positions. 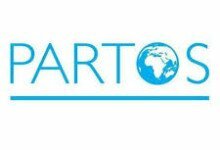 Partos is the Dutch association for NGOs working in International Development.